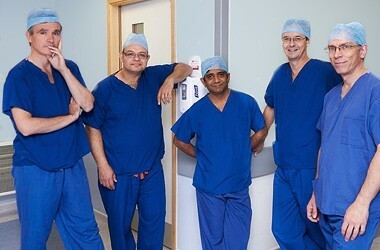 At North Birmingham Colon Care, we recognise that each patient is an individual, with individual needs. We provide rapid diagnosis and cutting edge treatment based on a multi disciplinary approach. 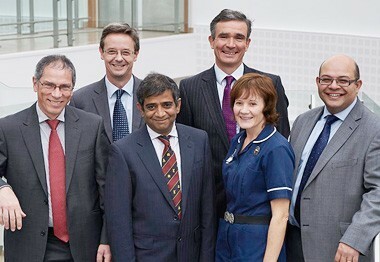 We are a group of medically qualified specialists who work closely together at Heart of England Foundation Trust. To offer holistic treatment for conditions of the large bowel to the people of North Birmingham and South Staffordshire. Our aim is to provide cutting edge diagnosis and treatment based on multidisciplinary expertise by offering a bespoke approach tailored to the individual. Diagnosis and treatment is offered within the timely and convenient setting expected of a private hospital. A wide range of conditions are treated by members of NBCC ranging from piles and faecal incontinence to early and advanced bowel cancer. A whole range of conditions are treated by members of NBCC, ranging from the life threatening to those that are less serious but still affect our quality of life.